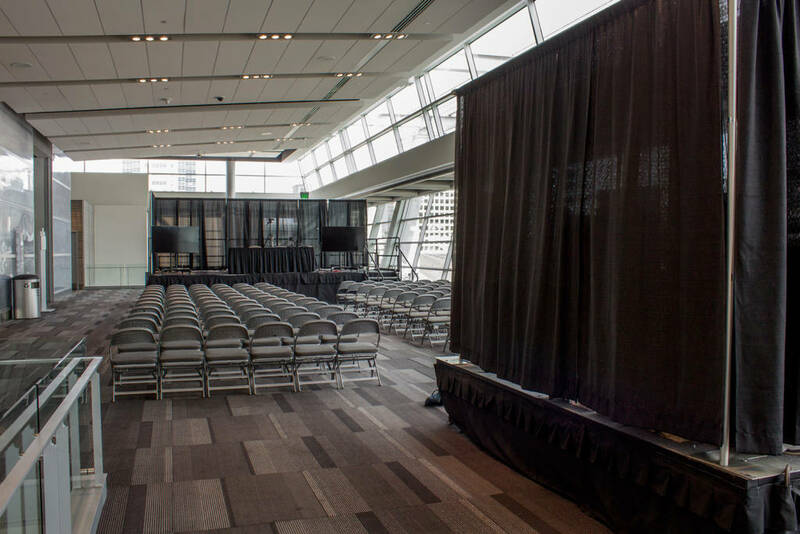 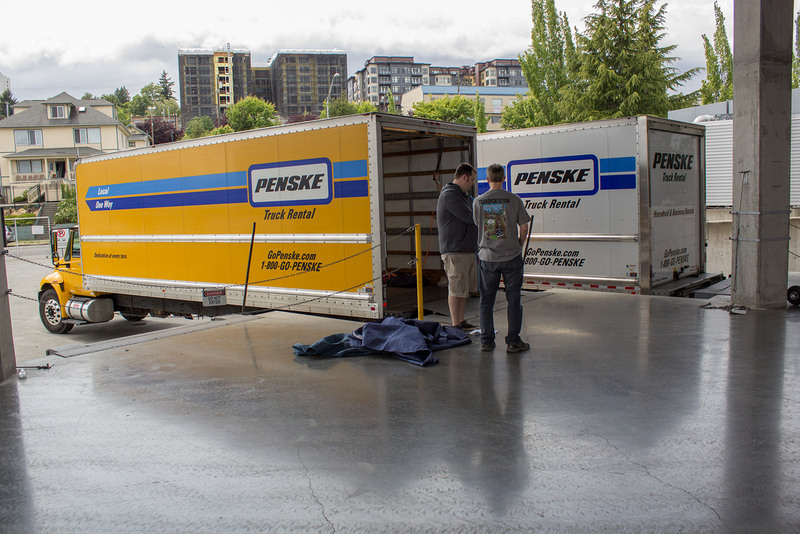 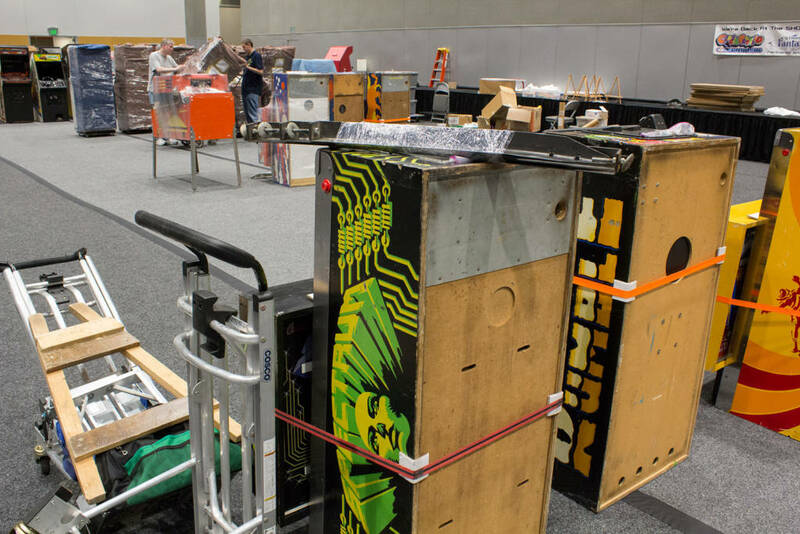 We got to the Greater Tacoma Convention & Trade Center around 2pm on Thursday to check on the set-up, and sure enough everything was being done to get ready for Friday’s opening. 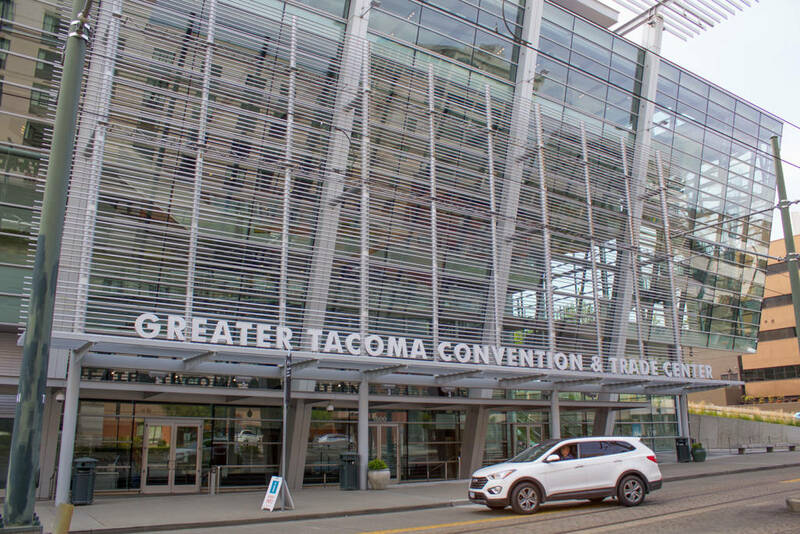 The Greater Tacoma Convention & Trade CenterThe lobby was looking a little sparse, but most of the action there doesn’t take place until later in the day and early on Friday morning. 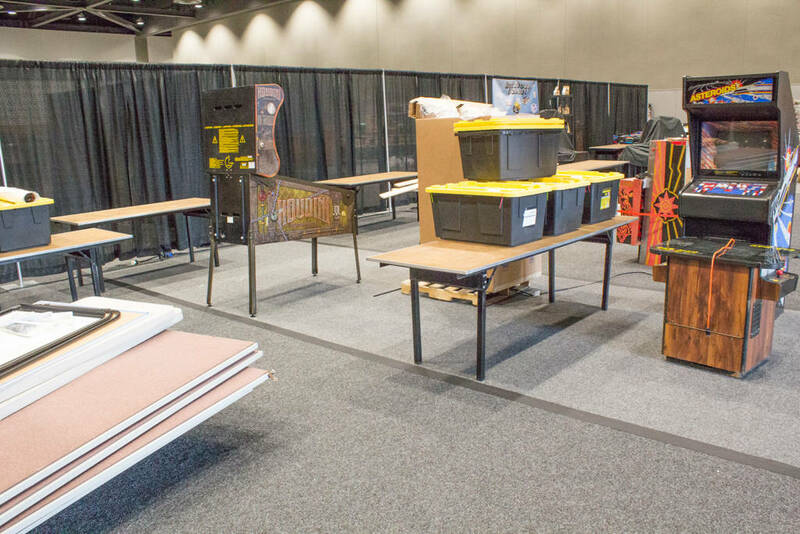 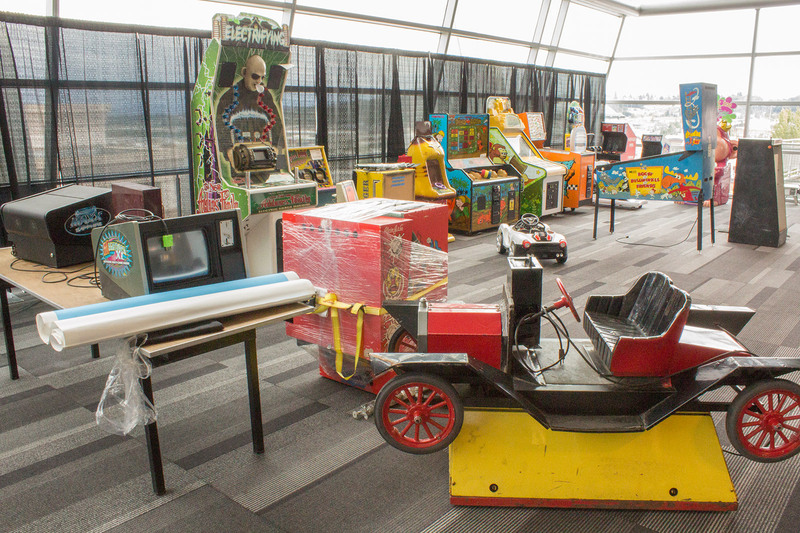 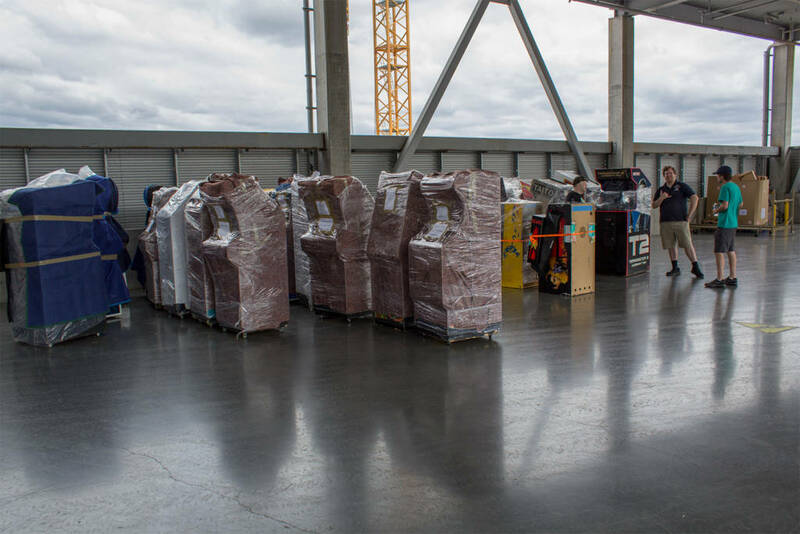 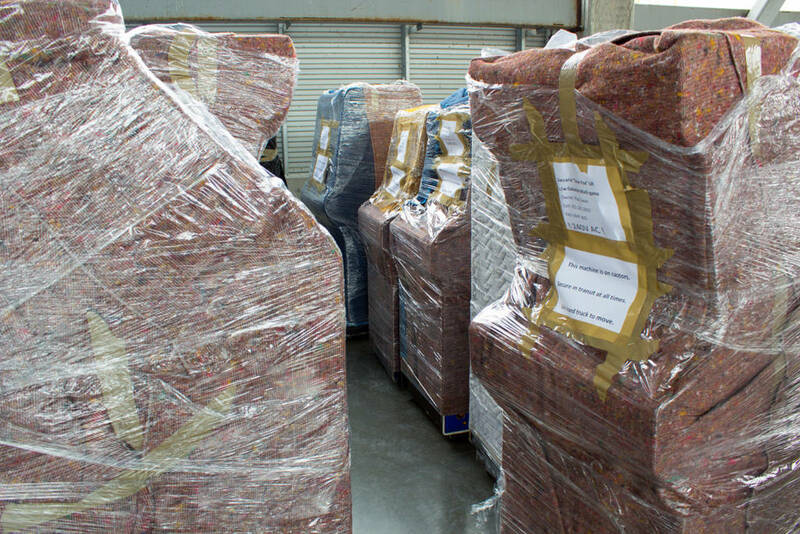 The machines for the kids area were arriving, and the seminar area was fully-built and ready to go. The lobby where registration takes place Some of the machines for the kids play area The seminars areaMike Lorrain had an impressive set-up with three cameras, a new mixing desk and a multi-mic radio system. 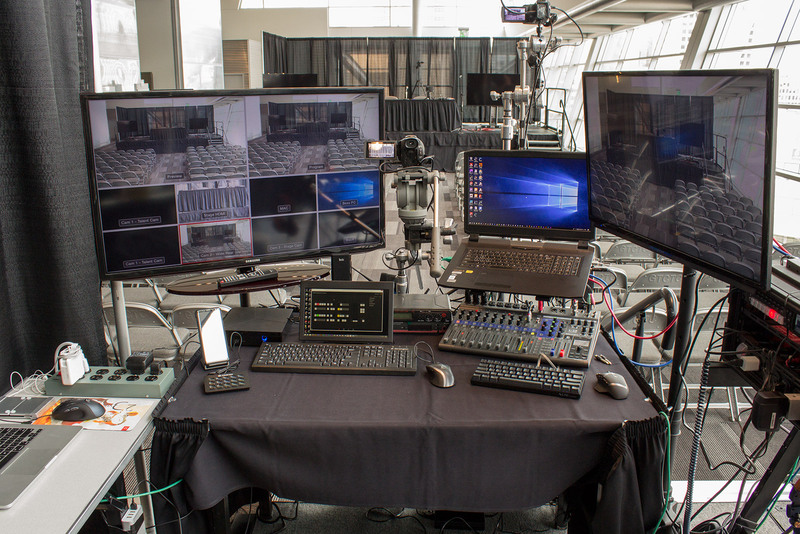 The seminars will all be streamed live and available to playback online, so we won’t be recording them here. We will be photographing them all and summarising the talks though. 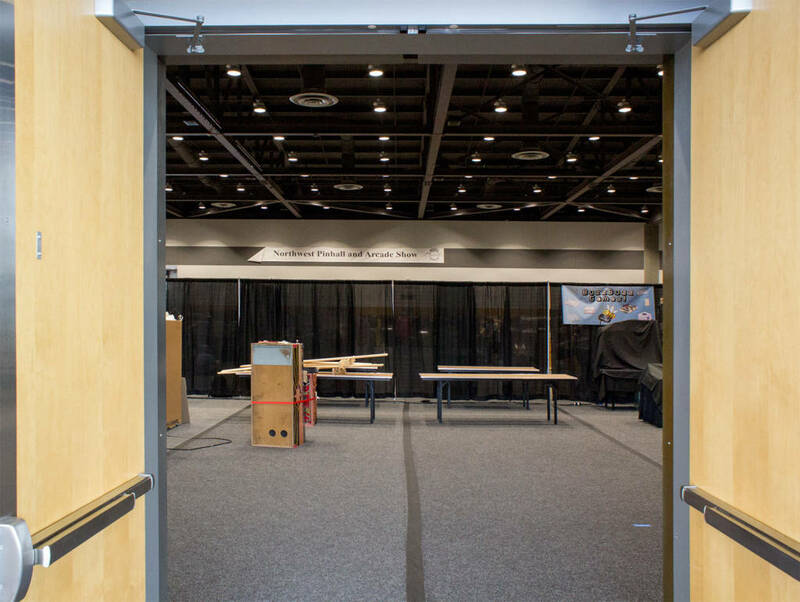 Mike’s seminar control stationLet’s go through the main doors and see what was happening in the main show hall. 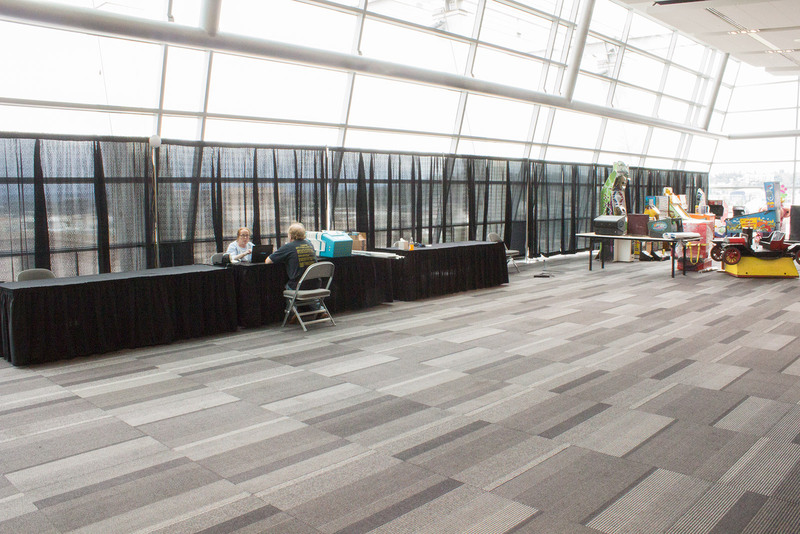 Into the main hallThe main show desk is directly in front of the entrance. 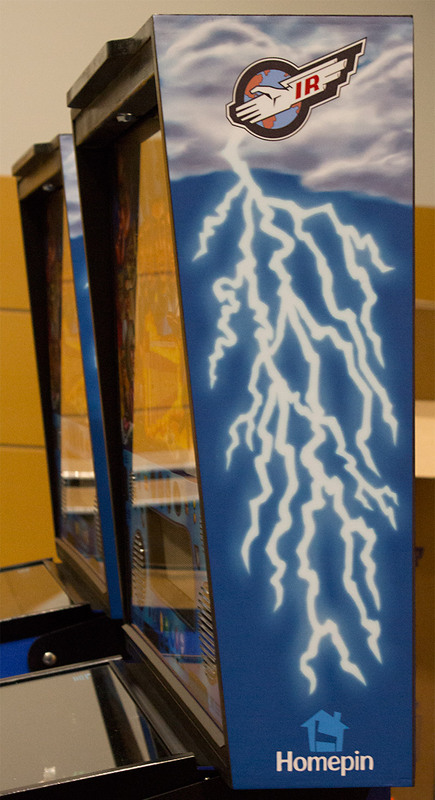 It is here that raffle tickets are sold and the show announcements made. 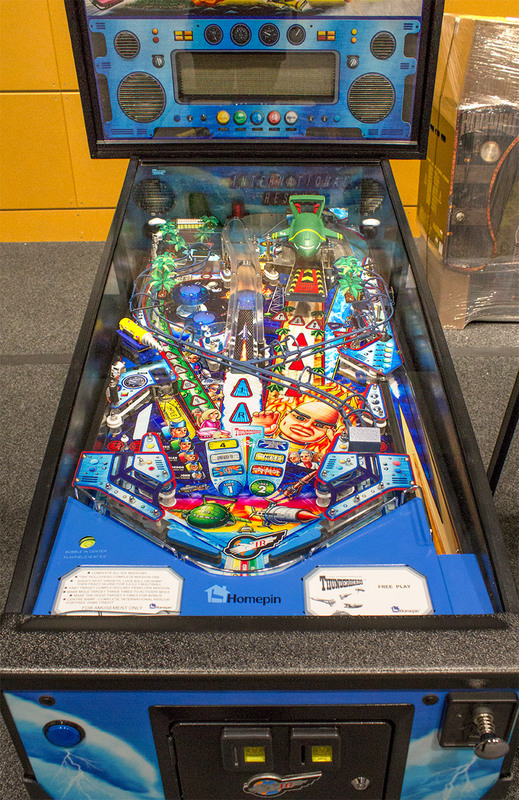 They already had the Houdini machine which will be the grand prize which will be drawn on Sunday afternoon. 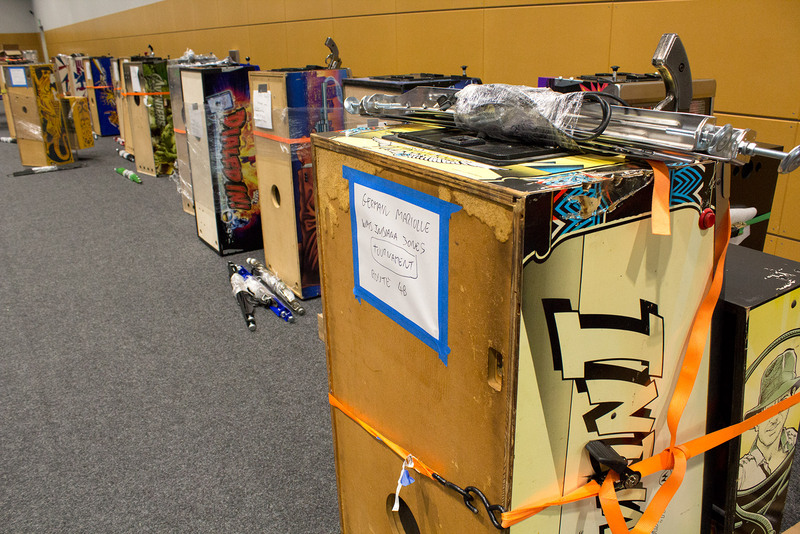 Setting up the show deskTurning left, we came to the Nitro Pinball stand. 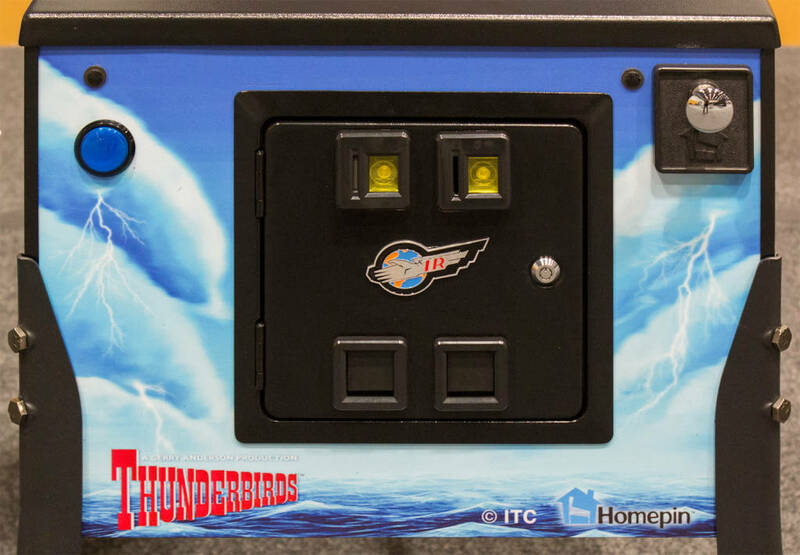 Nitro usually has the latest machines and this year is no different, with the big draw being two new Thunderbirds machines from Homepin. 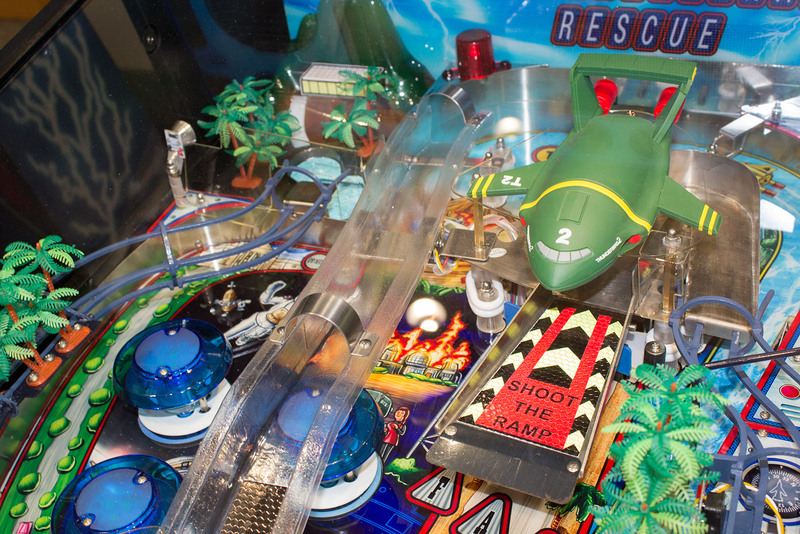 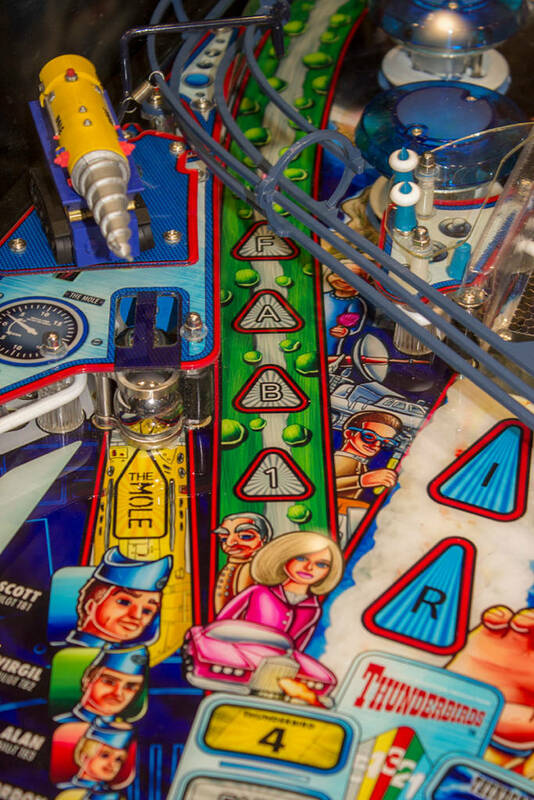 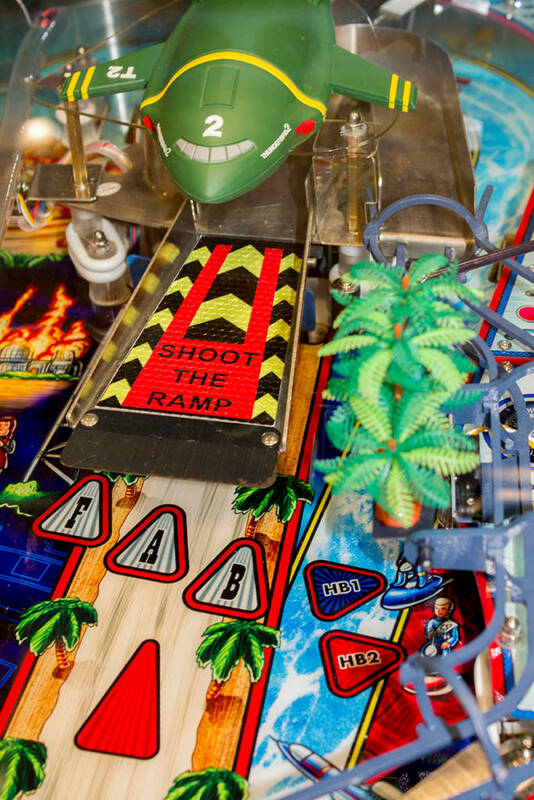 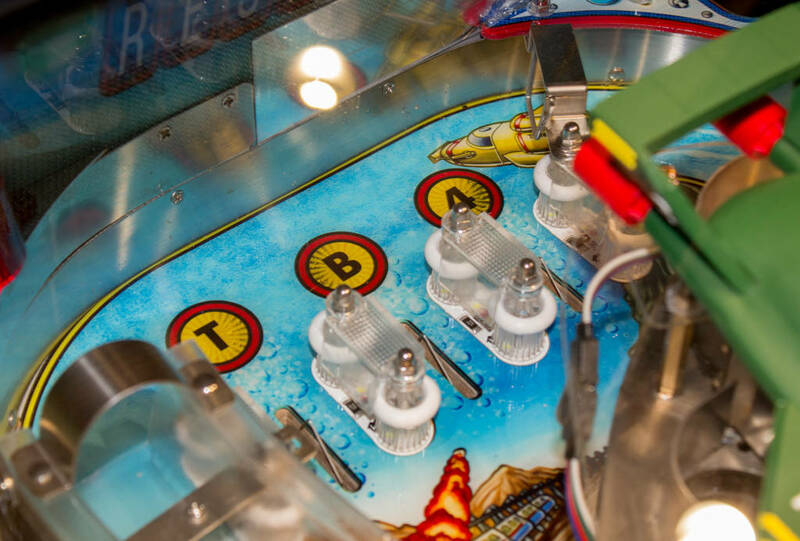 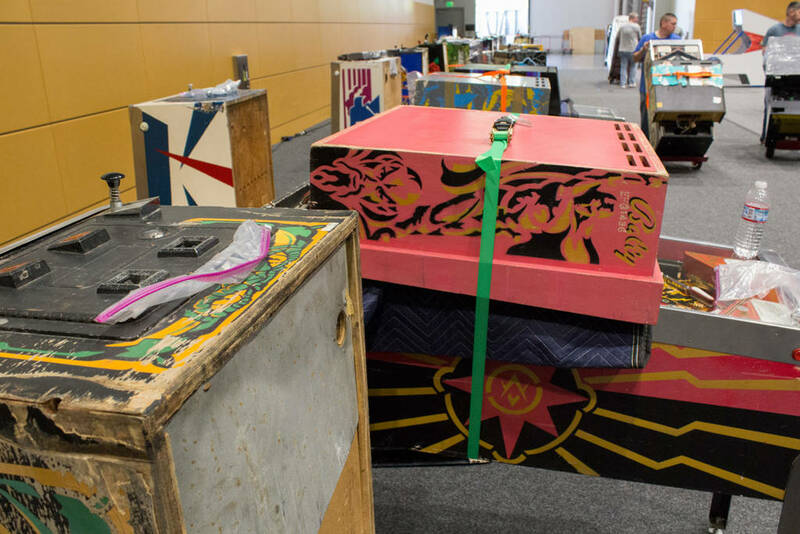 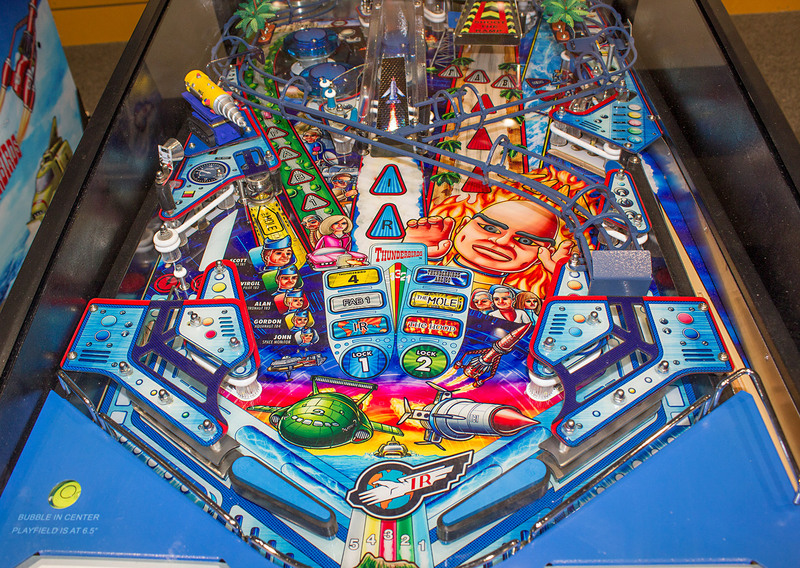 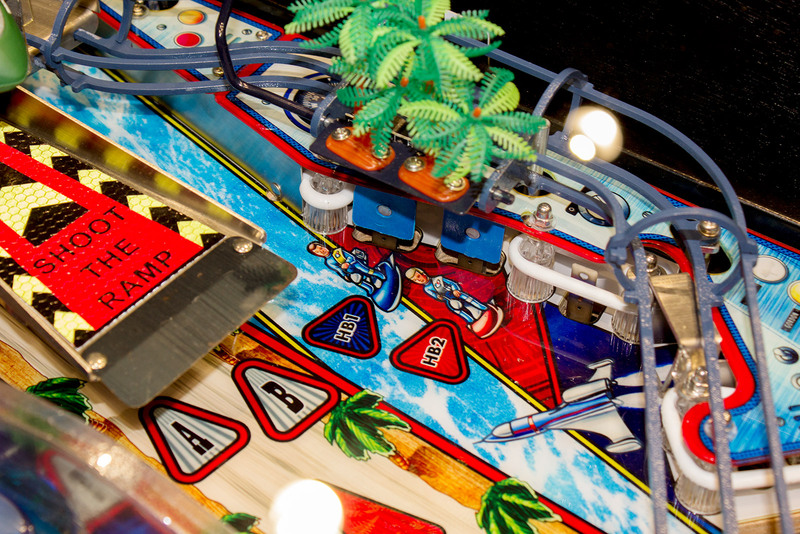 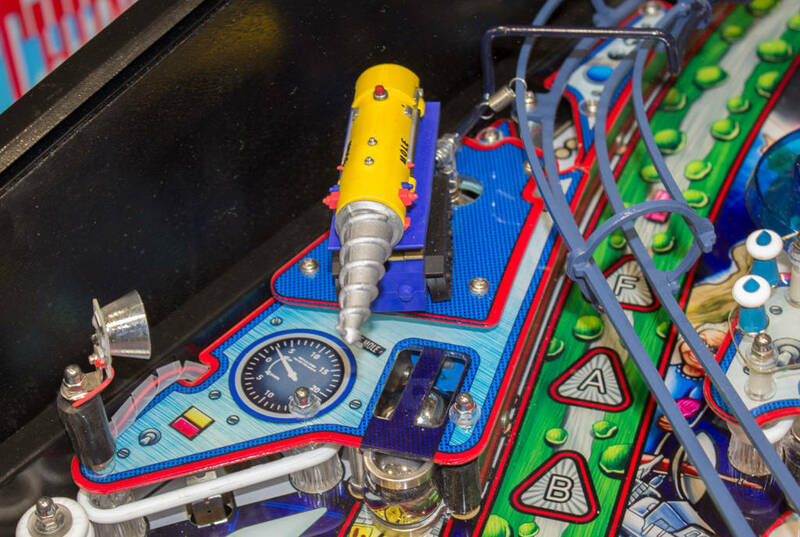 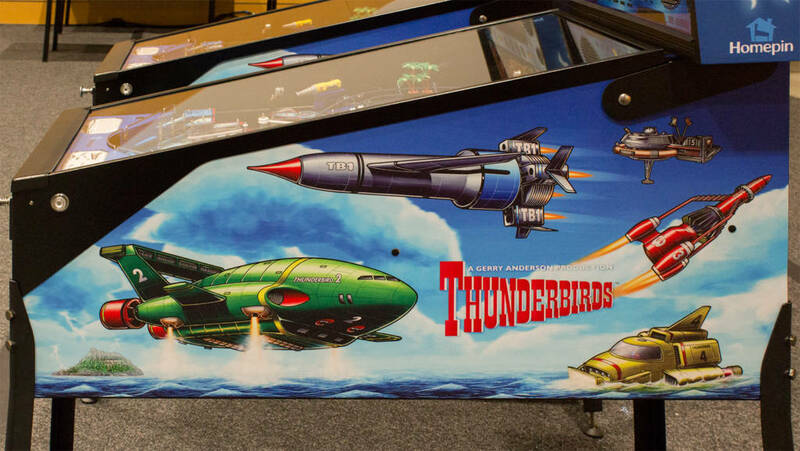 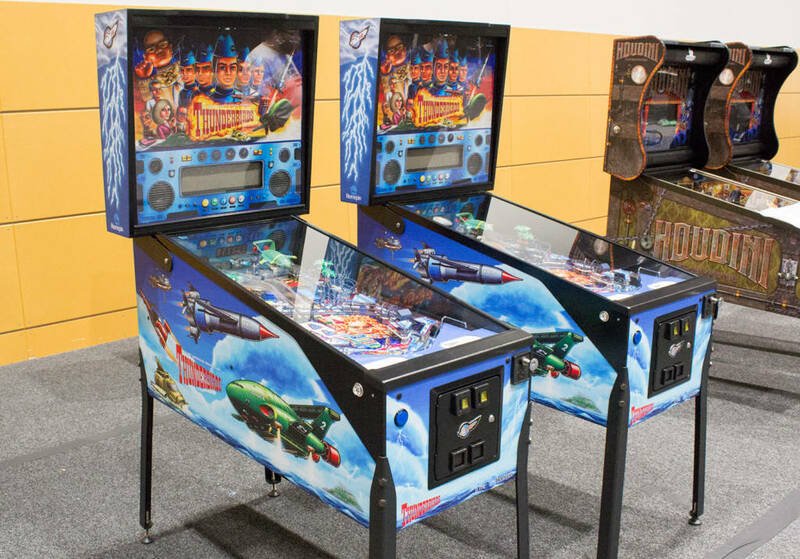 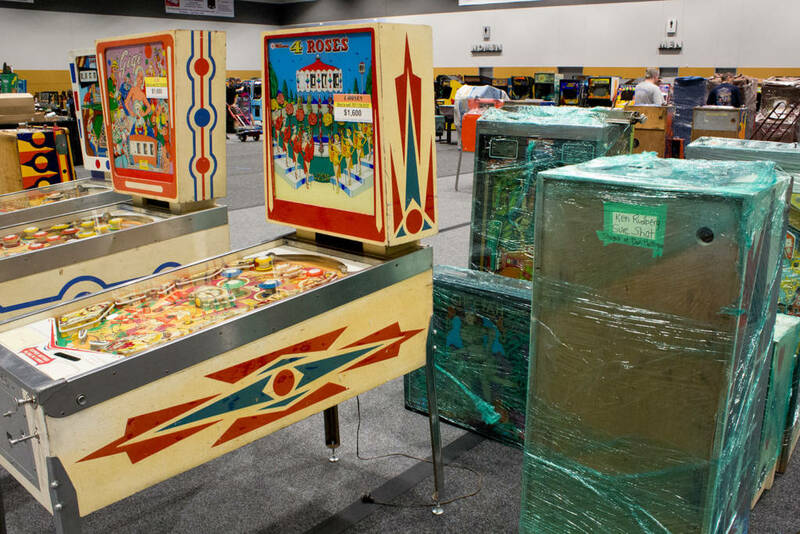 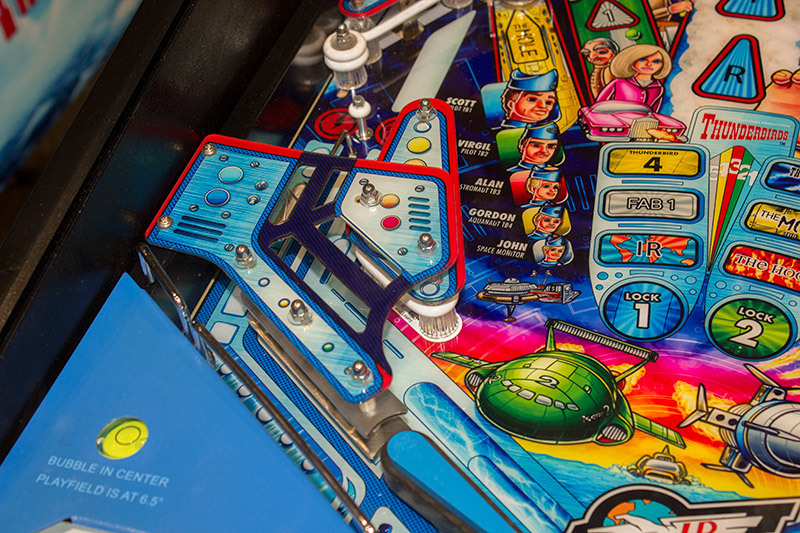 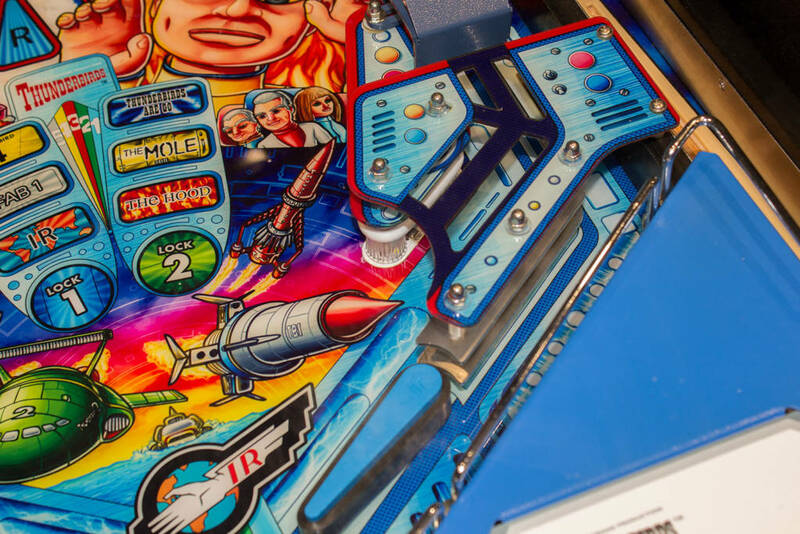 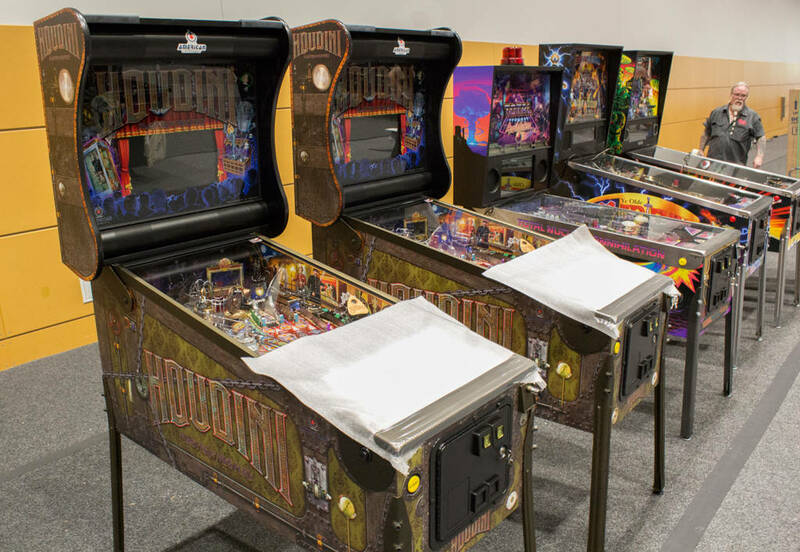 The two Thunderbirds machines on the Nitro Pinball standThis is the first time these machines have been shown in North American, so there is bound to be much attention on them once the show opens. 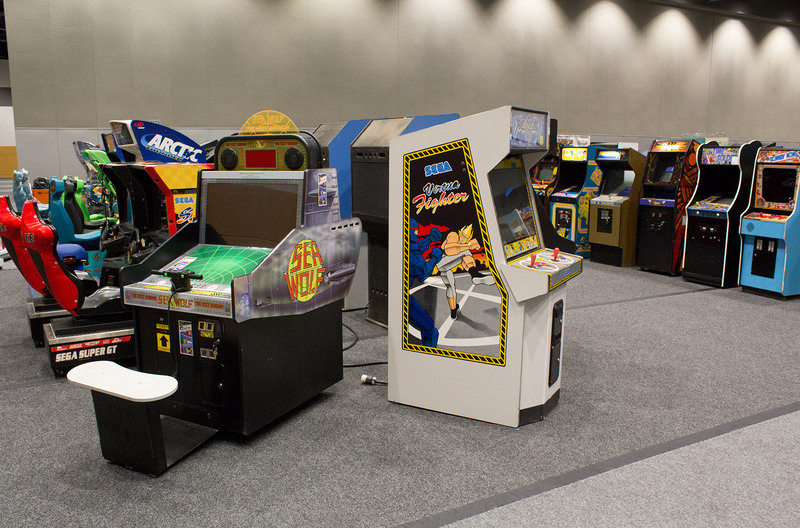 We took a bunch of pictures, but rather than spend too long on the game here you’ll find them at the end of today’s report. 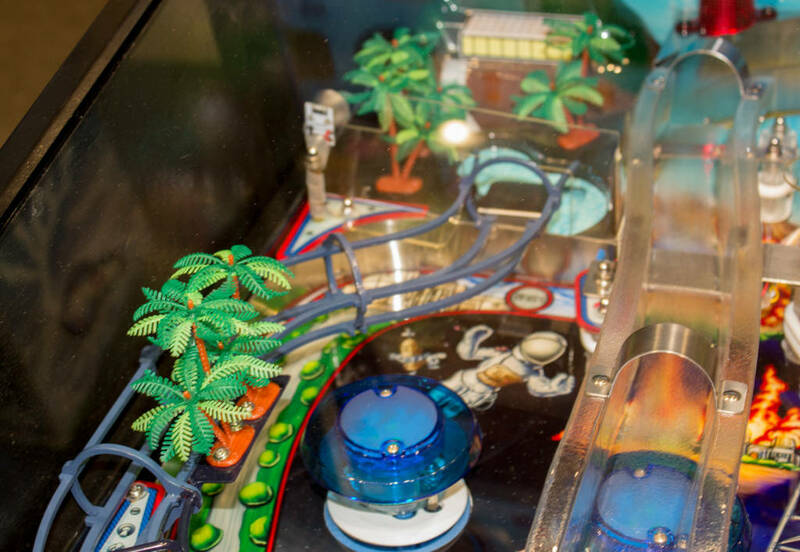 Elsewhere, things were coming together. 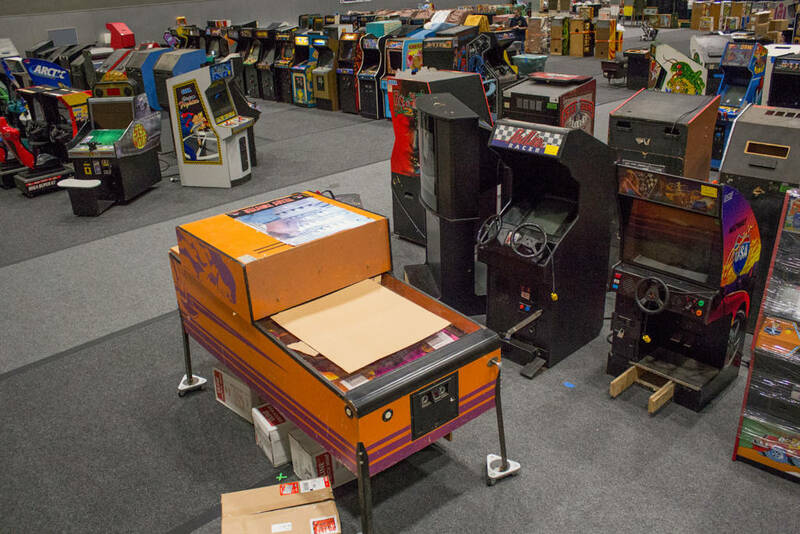 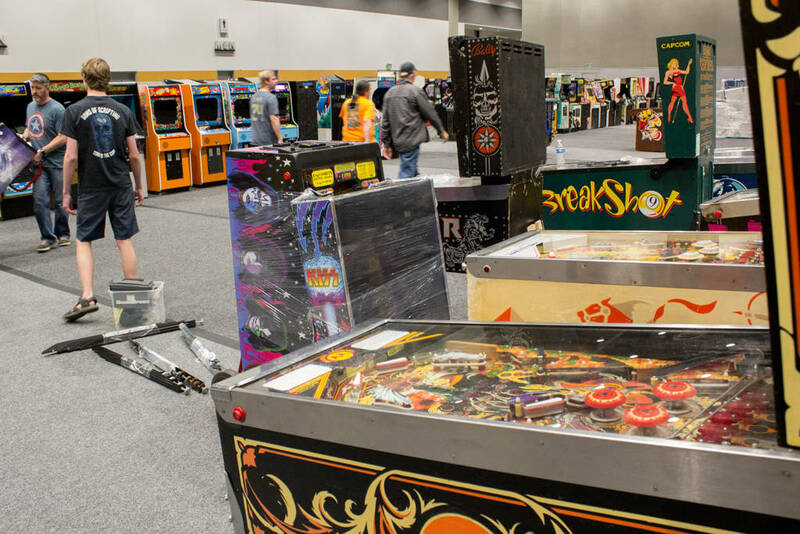 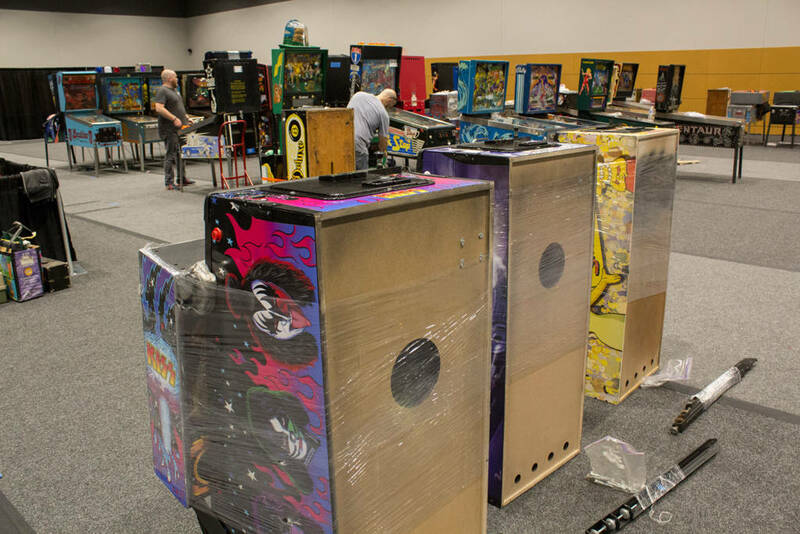 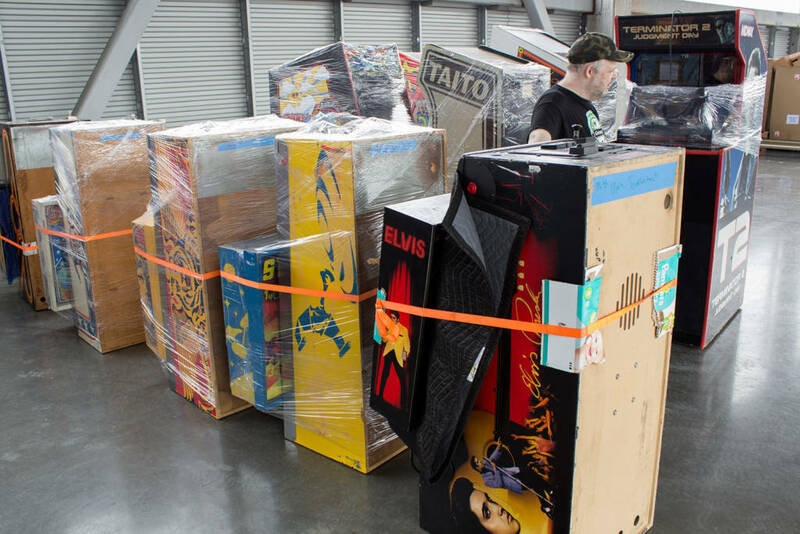 The view from the front left corner of the hall Trucks were turning up at the loading dock and being unloaded Unloaded machines waiting to go into the hall Pinballs to go into the hall Video games, carefully -wrappedThe hall was filling up, with vendors also setting up their stands. 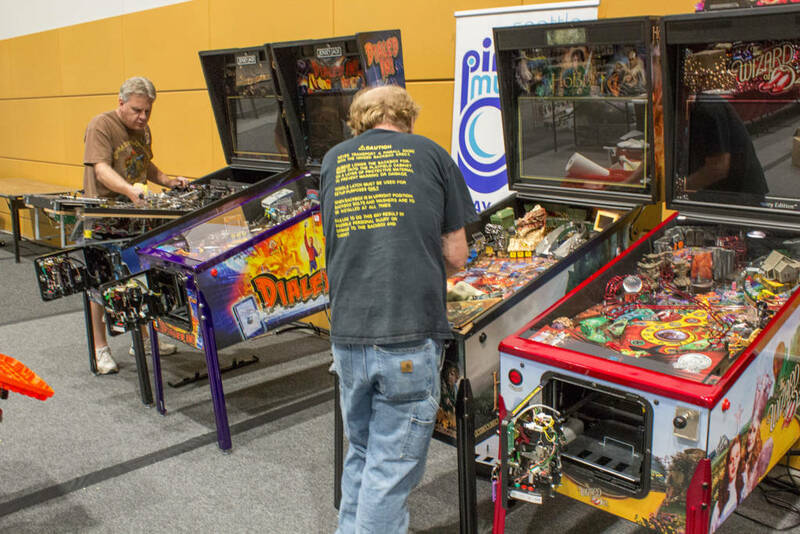 There’s no mistaking the Hercules machine It’s certainly not all pinball, with loads of video games too But don’t worry, there are plenty of pinballs Tournament machines More tournament machines Free play machines in the central area More pinballs The show always has an impressive EM section But there are the latest titles too, with Butch Peel and Charlie Martin setting up the JJP machines Houdini, Total Nuclear Annihilation and the two remakes are here on the Nitro standOK, so that’s what was happening in the main hall. 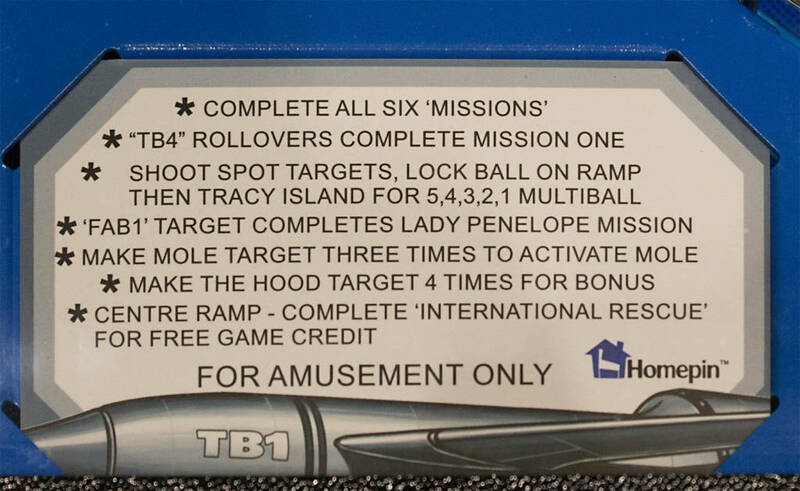 Now we’ll take a close-up look at Homepin’s Thunderbirds game. 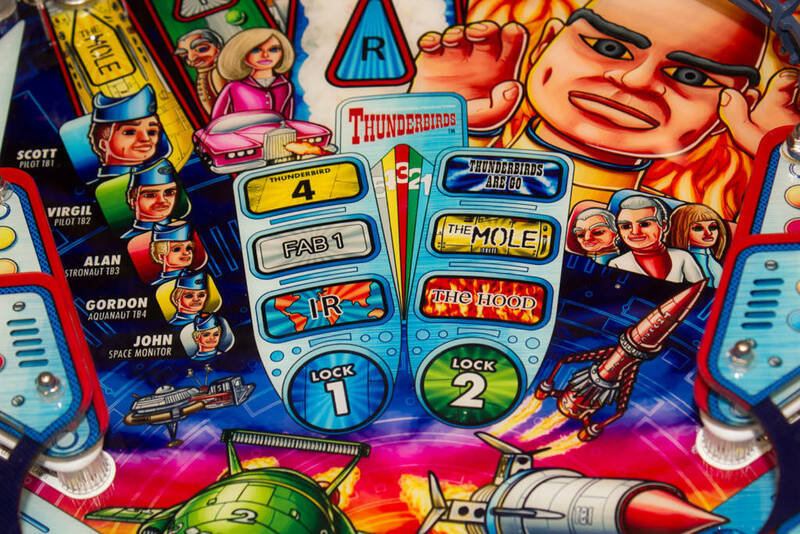 Note that the original title of Thunderbirds Are Go seems to have been changed to just Thunderbirds. 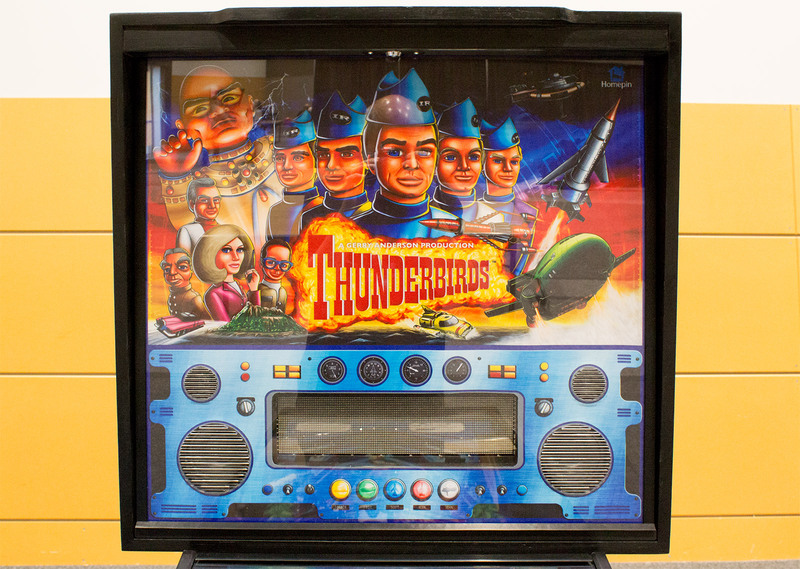 The Thunderbirds playfield The Thunderbirds backglass which is all one piece Thunderbirds cabinet side art Backbox side art which is backlit The Thunderbirds cabinet front The left ramp area The centre movable-ramp shot The top left playfield area The mid-left area The left orbit shot The top rollover lanes The mid-right area The bottom right area The bottom left area The feature grid The whole playfield The instruction cardThat concludes our look at Thursday’s set-up at the Northwest Pinball & Arcade Show. 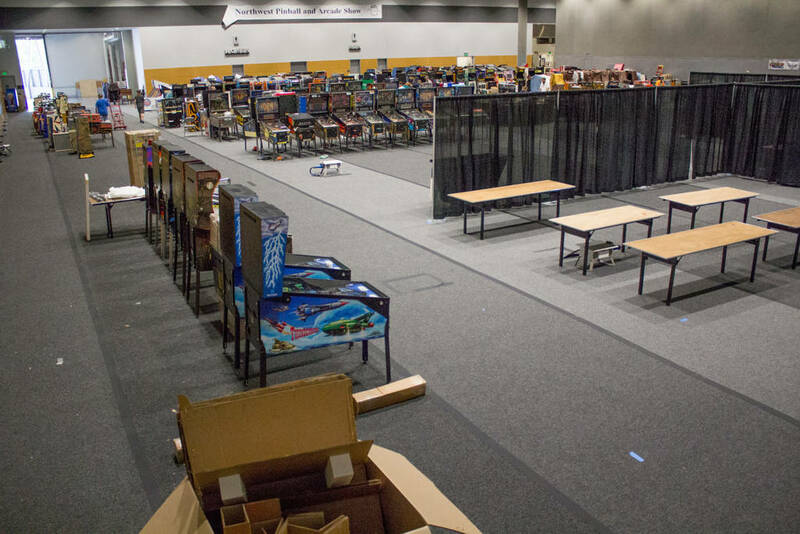 We’ll be back tomorrow reporting live from the show and will be adding and updating our reports right through the weekend, so check out all our reports at the main NWPAS page.